The name of the game this first (official) weekend of summer is alternative programming. Sort of. At first glance, a family film and an R-rated comedy seem like welcome new releases with the first three weekends of the month focusing primarily on superhero and action movies. 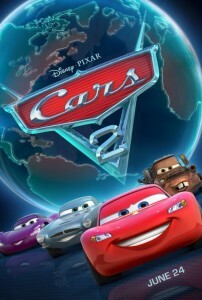 “Cars 2,” however, seems to be a definite summer action film as opposed to the usual Pixar heart-warmers. 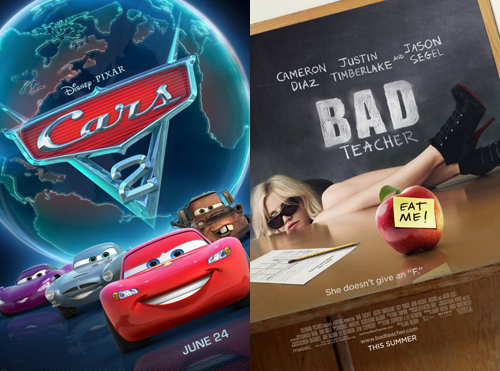 As for “Bad Teacher,” R-rated comedies have been the name of the game this summer with “Bridesmaids” and “The Hangover Part II” being huge successes. Can the trend last? Summary: Lightning McQueen (Owen Wilson) and his pal tow-truck Mater (Larry the Cable Guy) find themselves on an international racing circuit where they are mistaken as spies and pursued by an MI6-type of organization led by Finn McMissle (Michael Caine). 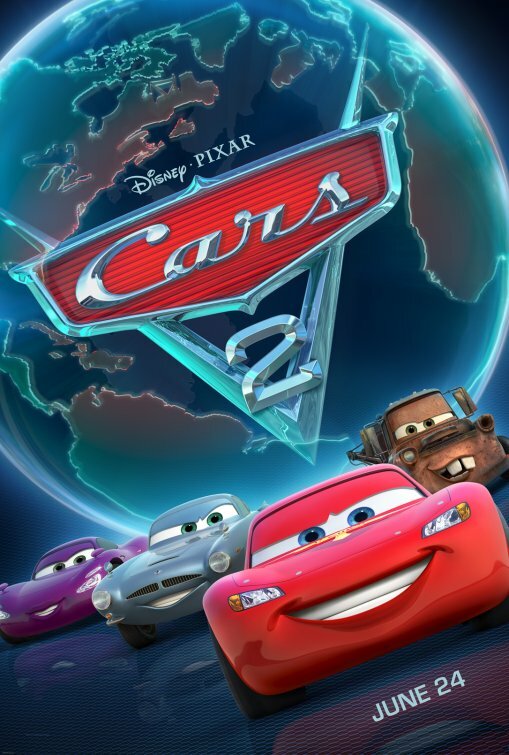 The Word: With oodles more characters and exotic locales, “Cars 2″ promises much more excitement with this broader stage. The real question, however, has always been if it will surprise with the heart that has made the last few Pixar films absolute masterpieces. My Thoughts: I feel like the bad critical response is Pixar’s own fault for setting the bar so high. Reviewers came looking to find greatness and found a largely hollow and dazzling film instead. This will be lots of fun for the kids and tolerable for the parents, but not the movie everyone’s talking about. Recommendation: Even die-hard 18 and older Pixar fans without kids should probably wait for the DVD this time. Summary: A deplorable, foul-mouthed middle school teacher (Diaz) wants nothing more than to get hitched to someone with cash so she can live her “dream,” but she thinks the new teacher that she has her eye on (Timberlake) will only respond if she gets breast implants. She decides to improve her students’ scores on the upcoming standardized test in order to win a bonus that would pay for them. The Word: Cameron Diaz’s career has been itching for a comeback. Her most recent roles in action comedies “The Green Hornet” and “Knight and Day” a year ago have been poorly received, but some foul language and a true comedy with all eyes on her could be the ticket. My Thoughts: In my summer preview I said “live by the Diaz, die by the Diaz.” Reviews are saying she’s terrific, but the script doesn’t quite live up, which would explain the very mixed reviews for the film. Acting tends to salvage bad scripts better than scripts salvage bad acting, so this probably isn’t too bad of a watch. Recommendation: Sounds like great DVD material. There’s no beating a Pixar film. I might have consistently overrated “Kung Fu Panda 2” all summer so far, but I won’t be overestimating Cars 2. Pixar films have made consistently between $60-70 million. If the negative reviews kick in, that’s the total you’ll see Sunday. If momentum from “Toy Story 3” kicks in, closer to $80 million seems possible, but without the extra boost from adults without families, it would seem unlikely. This week’s tough call comes in second place. The success of R-rated comedies and Diaz’s profile would seem to prime the box office for a strong take. This film definitely appeals to all adults and has been marketed well, but I’m hesitant. “Bridesmaids” opened to $26 million thanks to great reviews and these are mixed. Calculate a 55 percent decrease from last weekend and Green Lantern seems poised to eek it out with $25 million. The film has had negative reviews and will drop substantially, but no new action offerings are there to take a pre-teen and teenage audience. Bad Teacher will likely only win second if “Lantern” plummets. I suspect the comedy will take $20-25 million. Super 8 held up well in its second week and if that holds, it could be in for a bit longer of a ride in the top five. It will easily grab fourth with $12-14 million. Mr. Popper’s Penguins should have enough to hold off all the other top 10 films, which will dip under $10 million, right about where “Popper’s” ought to be.